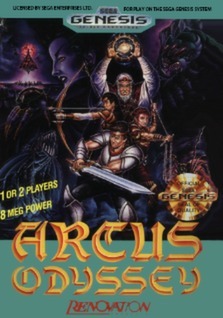 Arcus Odyssey (Sega Genesis, 1991)Cart Only! Authentic and Tested! Arcus Odyssey Sega Genesis - Game Only - Tested Works - Authentic ! RENOVATION !